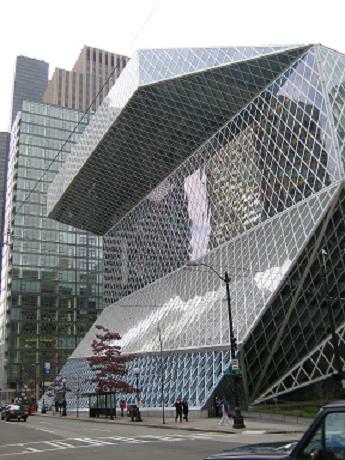 Seattleâ€™sÂ King County Library SystemÂ has decided to remove all security cameras from their libraries. The reason? Fear that the video footage would be used by law enforcement to pry into the reading lives of their patrons. viaÂ MOBYLIVES Â» When it comes to privacy, librarians watch out for their patrons. The Wodehouse Prize, which goes to humorous books of literary fiction, has beenÂ awarded to Gary ShteyngartÂ for his novelÂ Super Sad True Love Story. He isthe first American ever to win the prize. U!S!A! U!S!A! Shteyngart, of course, was the headliner for Verse Chapter Verse,Â The Stranger‘s books-and-music series, last year. viaÂ Gary Shteyngart Wins Wodehouse Prize | Slog. Right now, most scientific research exists behind paywalls. And expensive paywalls at that. A license to read a single peer-reviewed journal article can set you back $50. Depending on the journal, that number might be a little lower, or a little higher, but access usually doesn’t come cheap … even if the research was funded with public money. When I write about a paper, I usually have to request a copy from the researcher before I can even know whether the paper in question is one I want to write about. And it’s not just journalists that get locked out. Even scientists themselves can’t always get access to the papers they need to read in order to do their jobs. New science is being stifled by the old business of scientific publishing, argues science journalist David Dobbs. Philip Roth has won the Man Booker International Prize. Booker judge Carmen Callil was so annoyed with the decision to honor Roth, she resigned from the judging panel. The thing is, people are still reading Goodbye, Columbus, which Roth wrote over 50 years ago. So, yeah, I think his work will be around in 20 years. It doesn’t make any sense to ask if his work will stand the test of time when it already has.